Location, location, location! 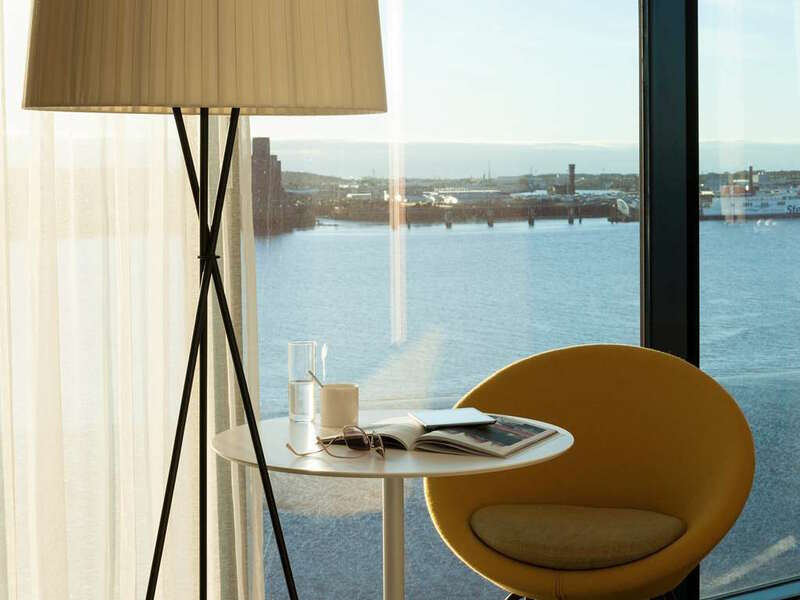 OK, Liverpool is not a particularly large city, and it isn’t difficult to be within a reasonable stroll of most city centre attractions, but the best place to stay is surely on the waterfront. 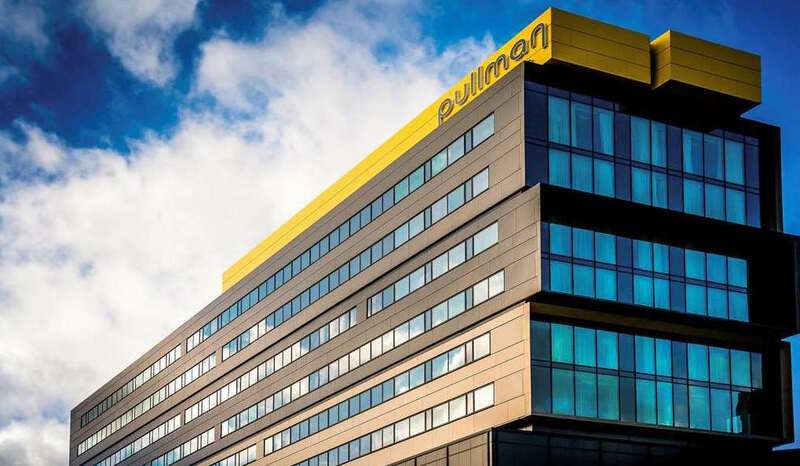 And that is most definitely where the Pullman Hotel Liverpool is situated; its toes virtually in the Mersey and with great raised views across the water. 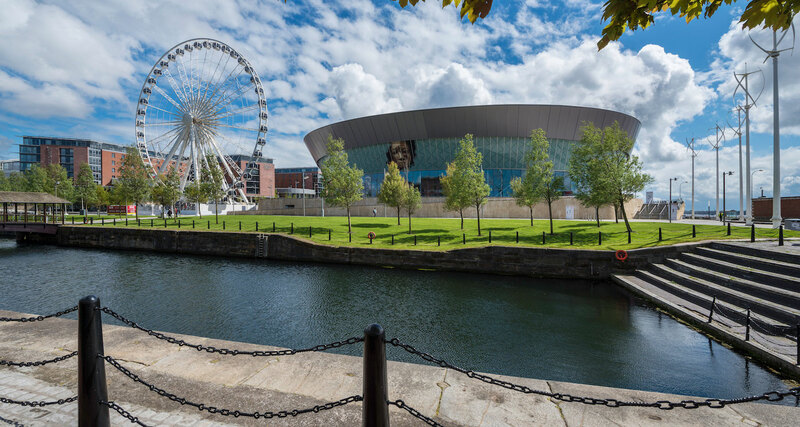 This is also a perfect location adjacent to the Echo Arena, Exhibition Centre, the Museum Of Liverpool, Albert Dock and the Tate – all a short and pleasant traffic-free walk away. This is also a very good hotel indeed. Opened just a few weeks before our arrival, by HRH Queen Elizabeth no less, one enters in to a calm, high-ceilinged and desk-free lobby to be greeted by a friendly iPad-wielding receptionist eliminating any need to queue for check-in. 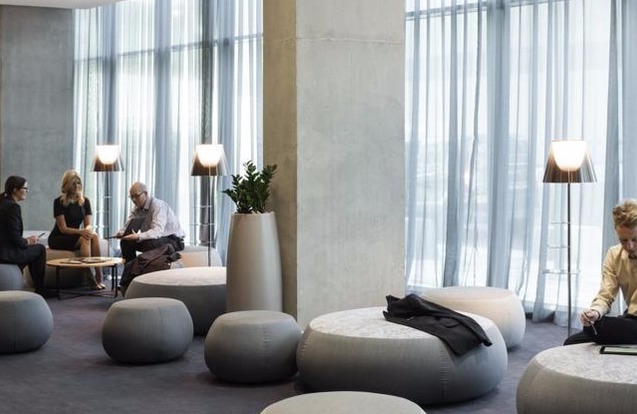 The style is understated with exposed concrete alongside wood floors, wispy curtains and low key furniture. 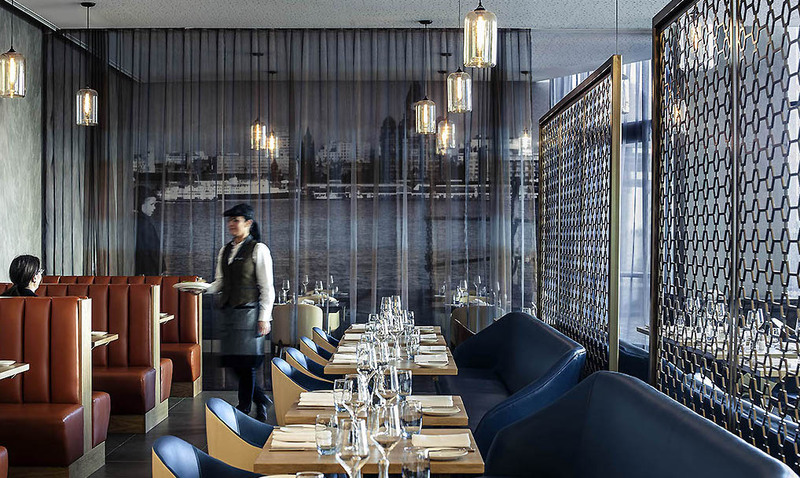 Gentle hints to the marine and industrial heritage are given by accents of leather, wood and metal, whilst a more direct illustration comes from the huge black and white photographic murals that adorn the Duke’s restaurant and public areas. Similar photographs of Liverpool’s history decorate the bedrooms, which again feature occasional industrial extras like ‘pulley’ bedside lamps. 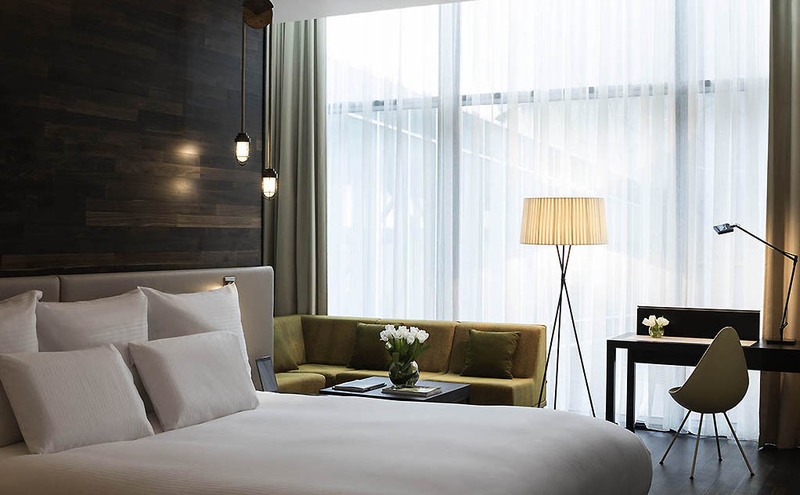 There are muted colours and soft fabrics whilst the extremely comfortable beds offer crisp white linen. 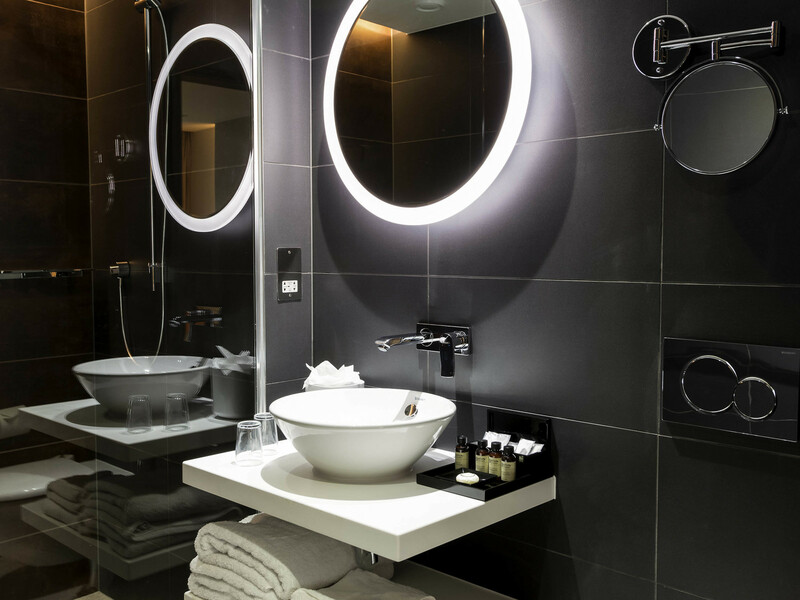 The usual extras like tea and coffee, safe and so on are all present whilst there are quality toiletries and good lighting in the slick, black and chrome bathrooms. Soundproofing is exceptional and, save the occasional squawking seagull and plaintive hoot of a passing tanker, this was one of the quietest bedrooms we have ever enjoyed. The breakfast buffet was also exceptional with a wide selection that was continuously replenished. Less impressively, latte or cappuchino were at an extra (and rather too high) cost. 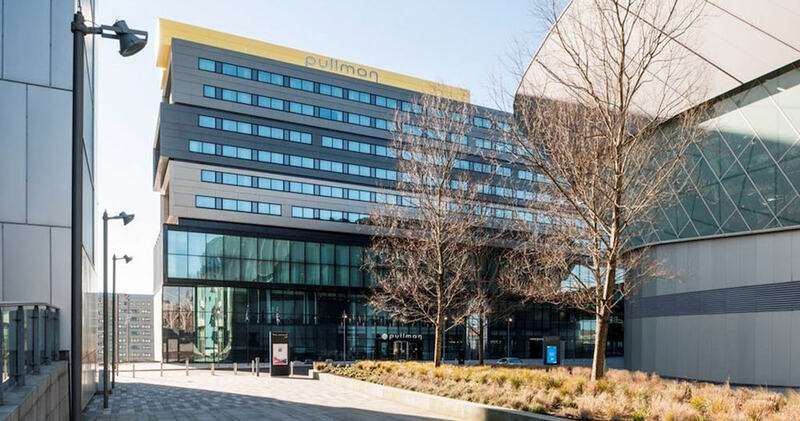 Room and suite prices however are pitched at very reasonable levels, and with Liverpool hotels somewhat better value than many other cities, the Pullman is a hotel where you get an awful lot of bang for not very much buck.